The Mattson 2 have teamed up for their second year collab with the extraordinary SD cocktail spot El Dorado. 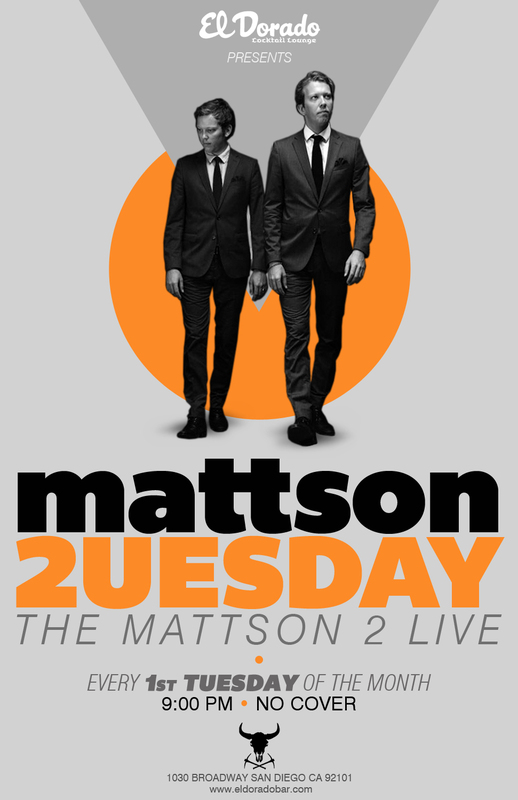 Together we present to y'all a special evening (that most of you know of) called Mattson 2uesday. We hope distant universal travelers will join us for new sounds and drinks... if not we'd love to host our fellow humanoids. This happens on Jan 7. RSVP here.